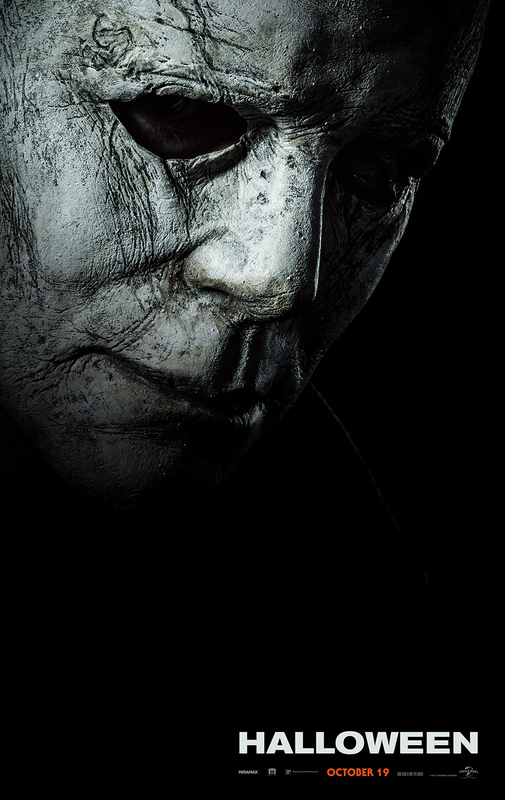 It's starting to feel like Halloween again with the return of Michael Myers. The legendary slasher returns on the first poster for Danny McBride and David Gordon Green's Halloween, a sequel that takes place years after the first movie and ignores everything that happened in earlier films. Becoming quite the common practice lately, isn't it? There aren't a ton of story details but we know Jamie Lee Curtis is back as Laurie Strode, along with Judy Greer as her daughter. Both of them, along with Laurie's granddaughter, are once under threat when Myers makes his return. I assume he'll be carrying his trusty butcher knife? Only this time Laurie is ready for him, or at least that's what Curtis said in her latest tweet. Halloween hits theaters on October 19th.